We currently take care of our own lawn, but many of our neighbors have a professional service come in and take care of theirs. They mow, they trim, they spread chemicals to take care of weeds, and whatever else needs to be done. I'm not sure we'll decide to hire a lawn care company anytime soon, but the following information may be helpful should we decide to look for one. In order to find the best lawn service, you need to ask important questions and then compare several different lawn care companies to ensure that you get the highest quality lawn care all year long. The following are five key things you should look at when searching for a reputable lawn care Tampa service. Compare treatment programs offered by several different companies. Are shrub and ornamental tree care offered along with turf care? Do they tailor their lawn care treatments to the kind of turf you have? For instance, your cool-season grass has different needs than the warm-season grass in your neighbor's lawn. Your yard's needs will vary from one season to the next. You'll want to find a lawn care company that offers additional services beyond basic yard maintenance so that they will be available when you need them. Some important services include service calls in between your regular lawn treatment appointments, diagnosing and treating pests and diseases, and aeration. The individuals who will be caring for your lawn need to know how to safely and properly apply grass treatments. They also should be willing to answer any questions you might have regarding the treatments being used and the basic needs of your yard. It is best to have the same dedicated technicians working on your yard if possible so that they become very knowledgeable about your yard and can keep up with any problems that may arise. 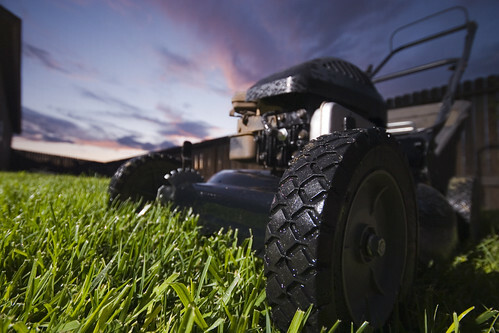 Ask for information and tips from the lawn care service. Depending on the area that you live in, there most likely will be certain lawn diseases, pests and other kinds of problems that arise with shrubs, trees, and lawns. Once you know what to look out for, you will be able to give your lawn care service provider a call so they can come out and diagnose and treat any potential problems before extensive damage occurs. Customer reviews are a great way to get information on a lawn care company's customer satisfaction level and performance. You can then contact the companies with the best reviews and interview them to ask additional questions so that you can determine which one best suits your needs for the finest lawn care service. It Really Is the Doorway!